Hunting is an extremely fascinating activity which combines the element of fun and ruthlessness. There are many wonderful places for hunting in the United States of America (USA); however, according to a number of hunting experts, Alaska is among the best due to the fact that it offers a large variety of hunting opportunities. You may hunt for brown bear or mountain goat in the Southeast rainforest or along the Southcentral coast, which may be once in a lifetime opportunity. Caribou and moose, which are not considered to be common species, are widely available in most parts of Alaska. However, in order to make the fullest of the opportunity to hunt in Alaska, you need to take into account a number of factors. 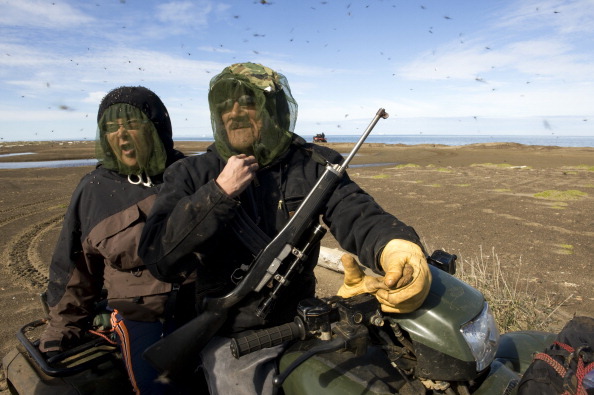 It is extremely important to do proper research before you go for hunting in Alaska. Animals may be scarce even where good habitat exists, depending on which month of a year you are hunting in. At the same time, there may be abundance of animals in any other part of the state. Between their seasonal ranges, a number of big game species in the state make long migrations. Hence, careful planning and homework are the keys to successful hunting in Alaska. In order to get a hunting permit in Alaska, you may visit any nearby wildlife office of the government of Alaska or do correspondence via email. You can obtain the permit only for yourself or for a minor (child of 15 years or younger) if you are his or her guardian. Doing proper research about the area you are going to hunt in Alaska should be an integral part of your homework. Make sure that you have detailed maps of the area with you. Such maps are available over the internet. Take a printout and keep them with you. If you do not have access to internet and a printer for some reason, you may buy the maps from a local county office in the state. They will not cost you a lot. You must file a hunting report to the government of Alaska. This report can be filed via regular mail as well but it is highly recommended that you do it electronically through email as it will save you a lot of time and hassle. Keep in mind that until or unless you file a hunting report, you will not be allowed to hunt in the state again in future.